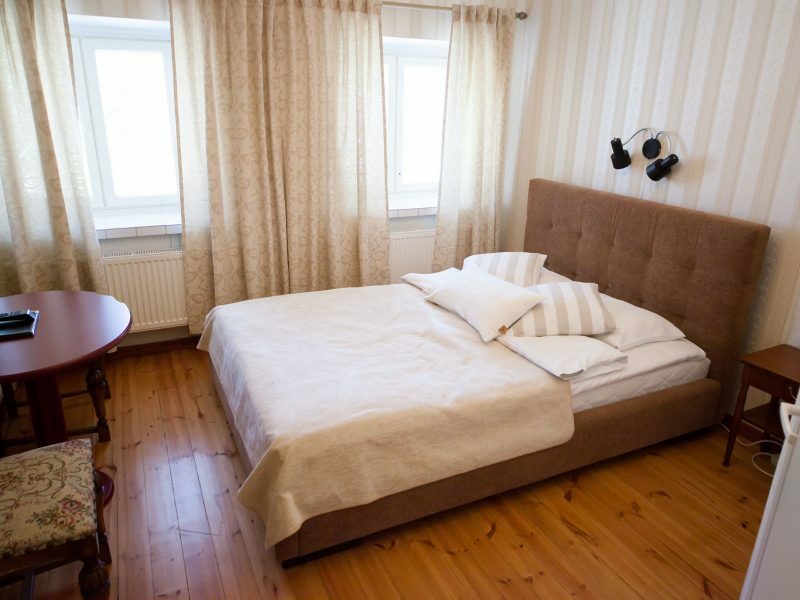 We provide 21 uniquely decorated rooms that can each accommodate from 1 to 4 people. Accommodation for 52 guests. Amenities in all rooms: flatscreen TV, bathroom with shower, and a hairdryer. Breakfast is included in the room rate. Free WiFi! Please note that all of our rooms are non-smoking, and that there, unfortunately, is no lift. Pets are allowed only in select rooms. These uniquely designed rooms are located on the 3rd floor, and the garden floor. Rooms have views onto either Linnankatu street or the garden. Pets are allowed in the garden floor rooms. These uniquely designed rooms are located mainly on the floors above the ground floor, and have a view overlooking Linnankatu street. One of the rooms of this type is located on the garden floor, and also pets are allowed in this room. 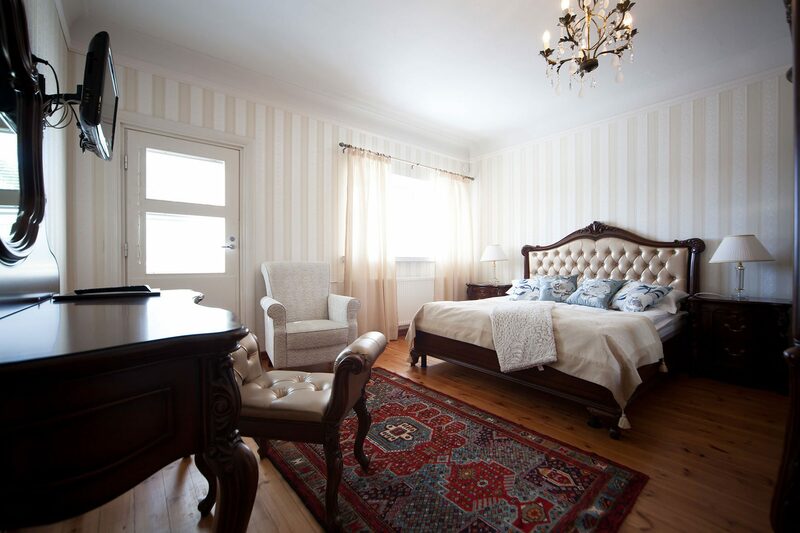 These sumptuously decorated rooms are located above the ground floor. The balcony offers a beautiful scenery over the lake. This apartment is located on the garden floor. It has a spacious bathroom and a small kitchenette with cooking facilities and a refrigerator. Two of these rooms are located on the garden floor, and also pets are allowed in these rooms. The third small double room is located on the 3rd floor. These rooms have a 140 cm (55 in.) wide double bed. The room is best suited for accommodating one person. 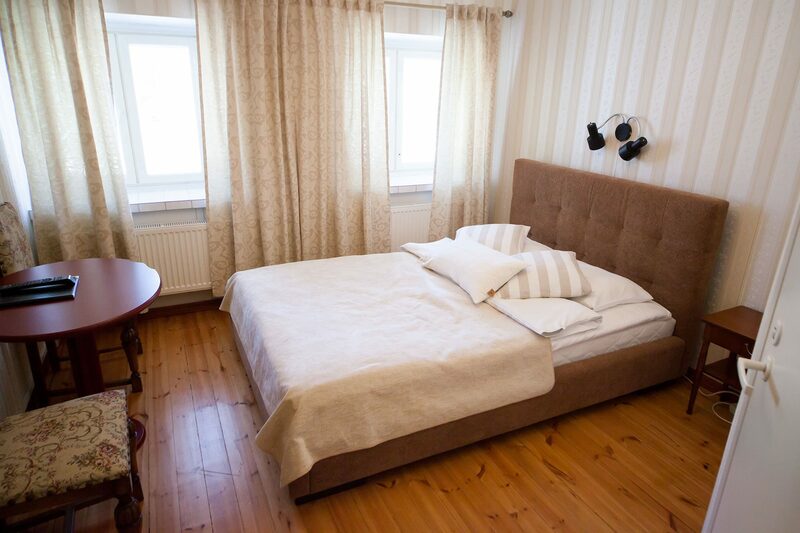 These rooms are located above the ground floor, and have views of Lake Saimaa. 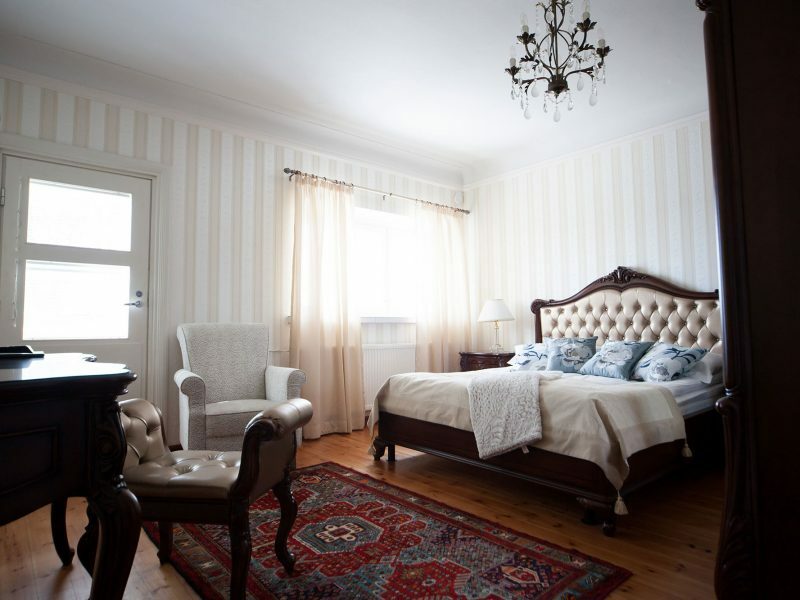 Both rooms have single beds: two of them form a double bed and one is a separate single bed. These rooms include a spacious bathroom. These family rooms are located above the ground floor, and have two separate rooms. The entrance to the spacious bathroom is via the front room. The other room has a view to Lake Saimaa. 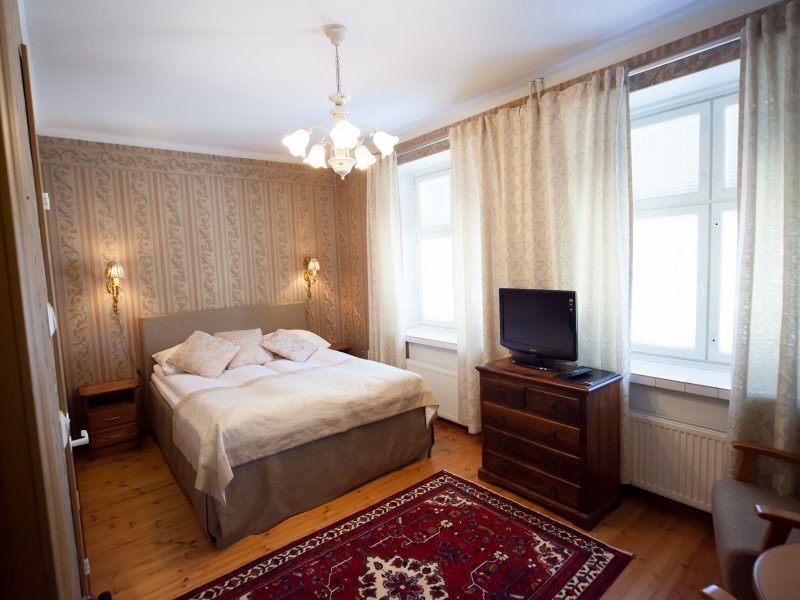 This room is located on the ground floor, and has a separate entrance also from Linnankatu street. The steps of the entrance form a small partition that separates the bed rooms. The room has a small toilet and shower. Pets are allowed.